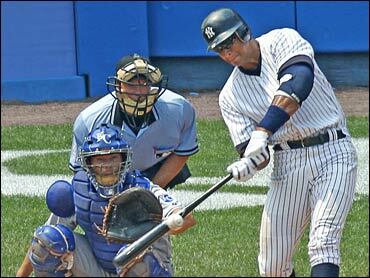 A-Rod To Yankees: Enough Already! Rodriguez's decision, announced by agent Scott Boras during Game 4 of the World Series, makes him eligible to become a free agent. "Alex's decision was one based on not knowing what his closer, his catcher and one of his statured pitchers was going to do," Boras said. "He really didn't want to make any decisions until he knew what they were doing." Boras said he attempted to notify Yankees general manager Brian Cashman of the decision Sunday but couldn't reach him, so he left a voice mail. "We're going to wait until we hear officially, but obviously it would be welcome news on our end," Rangers general manager Jon Daniels said in an e-mail to The Associated Press.